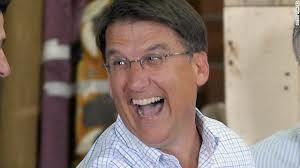 Also "The Era of Unnecessary Cruelty"
Federal extended unemployment benefits end for more than 70,000 jobless North Carolinians on Sunday as the state becomes the first in the nation to opt out of the federal long-term compensation program. A state unemployment overhaul that takes effect this weekend disqualifies North Carolina from receiving the federal benefits intended for those unemployed longer than 26 weeks. Federal law cuts off aid to states that don’t maintain their current benefit system. Supporters of the reform say the move will help the state pay back $2.5 billion in federal debt more quickly. The state borrowed the money to pay unemployment benefits during the economic downturn. Advocates for the unemployed say the measure will hurt the state’s economy, where the unemployment rate is the fifth-highest in the nation at 8.8 percent in May.